Always book your cruise and any shore excursions through a reputable company. 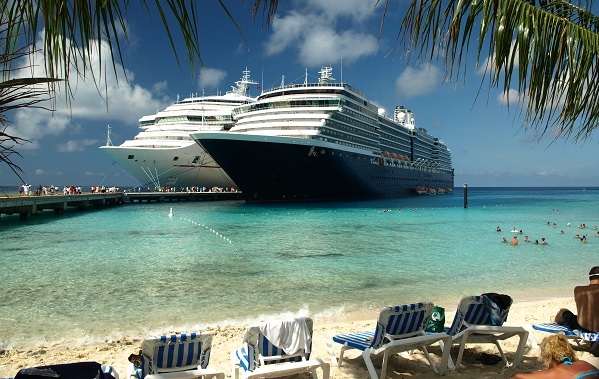 Always purchase specialist cruise travel insurance, and bring an EHIC if travelling within Europe. If you are travelling to multiple destinations, be aware that you may need multiple visas, make sure you have these sorted and in place otherwise you may be denied entry. Check our ‘know before you go link’ to make sure there are no travel warnings in place for you chosen destination or destinations. Also research local laws and customs, to avoid offending anyone on shore. For example in some conservative countries, a woman’s body is supposed to remain covered up at all times. Photocopy all important travel documents before you travel, and keep the copies in a separate location to the originals. If you use prescribed medication, make sure you have a big enough supply for the duration of your trip. You should always visit your doctor for a quick check up and to see if you need any vaccinations for your chosen location, before any long haul trip. You still need to be careful of your personal security, even out at sea. Do not open your cabin door to strangers, keep your valuable possessions locked in a safe and keep your handbag with you at all times. During shore excursions, make sure you wear a bag which zips up or locks, with a strap which goes across your body. This should prevent your bag being stolen or pickpocketed. Be very wary of using valuables such as smart phones and cameras near the edge of the boat, every year hundreds of people lose their valuable gadgets over the side. Remember that sea sickness is normal, but there are things you can do. Invest in natural remedies and try to avoid the bumpiest parts of the ship. Always wear sun protection, even if it is cold, the sun rays will still affect your skin if you are on deck. Before going ashore always check the ship’s departure time, and make sure you are back in time. Write down important or emergency phone numbers, just in case. Remember that your mobile phone may not work out at sea, warn your relatives so that they don’t worry.